It's no secret that I'm not a fan of Fakebook (feel free to read my post, "Just Do It! Dump Facebook! :)"). Thus, when changes began happening to Instagram over the past couple of years that felt very Facebook-ey to me, I became concerned. In March, 2018, I even looked to quit Instagram altogether and join Vero. Yet after signing up, my brother-in-law shared the information he'd researched about Vero's owners and I immediately deleted my newly-created accounts—they were worse than Fakebook! Since my happy Instagram world was so coldly disrupted yesterday morning by Facebook 😢, I've tried to rationalize how I could maintain my Instagram accounts and remain true to who I am and what I believe. While researching other Instagram-related articles, I came across an article (below) that reminded me that Facebook and its leaders are NOT our friends. When it really comes down to it, they are all about making money, and that will never change. The quote "If you're not paying for it, you are the product" fully and completely applies to Facebook and all of its products, which sadly includes Instagram. Furthermore, the fact that Instagram's founders are willingly leaving their high-paying, cushy Instagram/Facebook positions tells me they can't live with themselves under the fake-umbrella-of-happiness, either! Their choice to leave Facebook shows they are remaining true to who they are—regardless of the money—and I applaud them for it. (Okay, I'm reaching there, but it's totally plausible they resigned for that reason!) *Yet in the same breath, I counter that with, "Why did you sell-out to Fakebook in the first place?! Why would you choose money over your loyal users' beautiful Instagram experiences?!" So sad, right?! Mike Krieger and Kevin Systrom claim they will keep their Instagram accounts, but I wonder how long they'll actually stay active on it? Instagram was their creation, so maybe they can't bear to part with their baby? I don't blame them if they continue using Instagram, but I'll be surprised if they remain on it long-term. Unlike many Instagram users, I've never made money because of my participation there. Even though I genuinely love my Instagram world I've created (so much! ), I was also hoping that my IG contributions would translate into readers of my blog—which would then translate into advertising revenue. If you've read my previous blog post, you'll know that advertisements on my blog most definitely haven't paid off. I've not received nor retained the amount of Instagram followers I thought possible. I wasn't expecting to gain thousands of followers, by any means, but I topped out at 250 followers, and that number always regressed if I didn't follow back said followers. And I most definitely did not follow back people just for the sake of following back. I followed Instagram accounts because I really wanted to see their content, I don't give fake or hollow follows anywhere. Also, if I didn't post at least weekly on IG, I would lose even more followers, which was annoying because I wanted to post whenever I felt like it, not because I needed to retain followers. Now that I've removed advertisements from my blog, the point of gaining new readers for advertising dollars doesn't even matter. While I'm truly super happy if people find my blog helpful (I love helping readers! ), I blog for myself because I genuinely love it! Thus, with these most recent Instagram developments, I don't feel the need to post to my public Instagram account and link it back to my blog anymore. If people find Enthusiastic Fantastic while searching the Internet, that's great! But the loss of time I spent posting to my public Instagram account definitely outweighed any benefits of gaining new followers/readers. I'm not willing to self-promote and/or collaborate to the lengths needed to succeed monetarily speaking on Instagram. My posts never have been and never will be about making money or jumping on the popular train. The same applies here on my blog. There are way too many advertisements on Instagram! I can't say for sure, but it feels like my public Instagram feed is 40% sponsored posts! This is not how Instagram used to be when I first began using it in 2014 (private account) and 2015 (public account). I honestly remember scrolling through both of my feeds and not seeing one single advertisement for such a long time! When advertisements began coming through my public feed, I sort of expected and understood it—as the Instagram algorithm determined I was a "business" account. Yet when advertisements began showing up on my private feed, I was like, "Nooooo!!! You can't do this to me!" But I put up with them because I loved my happy Instaland so very much! Instagram's new algorithm (created by Facebook) doesn't show posts in the way I enjoy. I want to see every post from every account I follow, in the order they were posted! I don't want to see posts and advertisements that the algorithm determines I would rather look at! I mean, why is that so freaking hard for Facebook to understand?! We users chose to stay with Instagram because that's how it started: posts were shown in chronological order, regardless of potential advertising revenue! Yet Fakebook ruined that, too. Rest assured, Facebook's leaders fully know exactly what they're doing. They are consciously choosing to put advertisers' dollars ahead of users' experiences. And I have a major problem with that. I've wasted a lot of time on Instagram. About a week-and-a-half ago, I realized that I needed to stop leisurely scrolling away my valuable minutes on my public Instagram feed. I finally recognized that Instagram has basically become a digital magazine for me—with fun, helpful, interesting, or beautiful information squeezed in between advertisements. Let me explain: back when I was a newer mom, I subscribed to several life/style/improvement magazines. I not only loved reading those magazines, I felt the need to read them cover-to-cover because I paid for them. I didn't want to be throwing away magazines (before we had the option of curbside recycling) without having read them, or it felt like a huge waste of money. But after several months of that behavior, I realized what a tremendous waste of time my magazine-reading habit was. I saw that I was missing out on precious time with my babies, and I wasn't quite as productive as I could have been for our family's improved happiness and well-being. Thus, I determined that I needed to cancel all of my magazine subscriptions, and I did exactly that! Let me tell you, it was a wonderfully freeing feeling and I never looked back! Thus, with this latest Instagram revelation of who will really be controlling the content we consume, i.e., The Big Bad Facebook, I've decided it's time to cancel my public "subscription"! I will keep my private Instagram "subscription" and follow only my family members, friends, and Church leaders. *This may seem like a cop-out to the points I've just made, but I can't reconcile losing my connection to the most important people in my life—especially since I'm not on Fakebook anymore! Thus, until a better alternative becomes available, I'm stuck with my private Instagram account—stupid advertisements, algorithm, and all. Thankfully, the amount of people I follow privately is relatively small, so it will be easy to keep up on their posts—unlike my public IG account where I follow 300+ people/organizations. When I just looked at how many public accounts I follow, I'm even more motivated to be done with the commercial side of Instagram! I love the posts I created on my public Instagram account and I don't want to lose them! Thus, I will keep my public Instagram account as-is until I transfer all of my non-blog posts over here to Enthusiastic Fantastic. That will be a labor of love and will take quite a while to finish, but it's totally worth it! I will keep my public Instagram account open indefinitely as a way for people to find me and my blog—plus, I don't want to give away my awesome @enthusiasticfantastic username(!) 😆—but I'll stop my time-consuming habit of posting there and scrolling through that feed asap. Eventually, I'll compose a final post on my public Instagram page, detailing where to find me at Enthusiastic Fantastic! Of course, that's assuming anyone actually wants to find me! Ha ha. It will be such a sad day for my Instaland-happy heart 😢, but I know deep down it's what I really want to do. I'm looking forward to the outcome of this big decision because, overall, I know my life will improve! 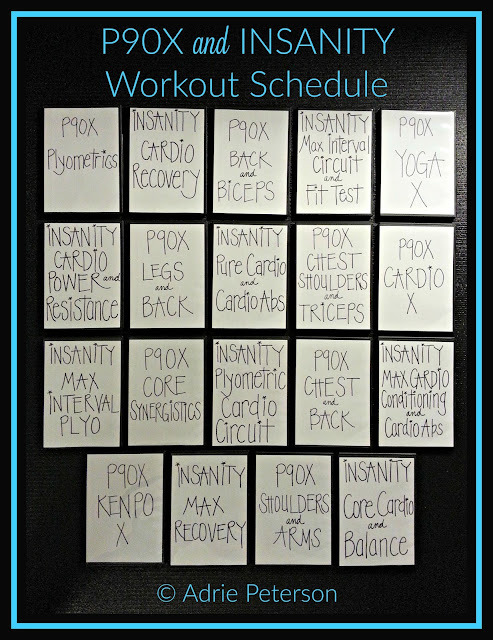 I'm actually really excited about the fact that I don't have to use a photo in order to post here on my blog! Instagram was so much fun to be a part of, but sometimes I didn't like that I always had to include a new photo, or a screenshot of text, or a typographic design if I wanted to post anything there. I can't wait to just typety-type-type and click "Publish" to Enthusiastic Fantastic! I'm completely thrilled that there are no character limits here on my blog! I can write as many words as I like, and—unlike Instagram—Blogger never tells me to stop writing! 😄 For this wordy girl, that is an unbelievably happy feeling! Yes, that was another way I wasted time on Instagram: I was always trying to figure out ways to compose my posts without going over their 2,200 character limit. With my focus returning to blogging, I won't have that stumbling block to worry about anymore! Praise be and hallelujah! All of that shared, now I have the ginormous job of retraining my brain to come to my computer to compose posts on my blog instead of continuing to go to the easy default of my smartphone and posting on Instagram. It will take some time, but I know I can do it! Again, I am just not okay with Facebook ruling Instagram! If Instagram's founders would have stayed and continued running Instaland as they saw fit, I most definitely would have remained an Instagrammer forever! But The Big Bad Facebook has trampled Kevin and Mike, and I refuse to just fall in line! After publishing my post very early this morning, I've now read two more articles about Instagram and Facebook that I feel are completely worth sharing. They both illustrate that Instagram is now doomed under Facebook's unsupervised/unchallenged rule. I also read a bombshell of an interview with WhatsApp cofounder, Brian Acton. His experience of dealing with Facebook's executives is mind blowing! And not in a good way. These three articles reiterate that Facebook cannot ever be trusted to put its users first—no matter what kind of image its leaders try to create through feel-good commercials and personal posts. Yes, I am soooo over and done with Facebook and its greedy executives! 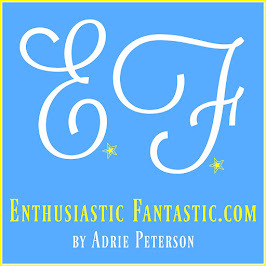 Enthusiastic Fantastic is Now Ad-Free!